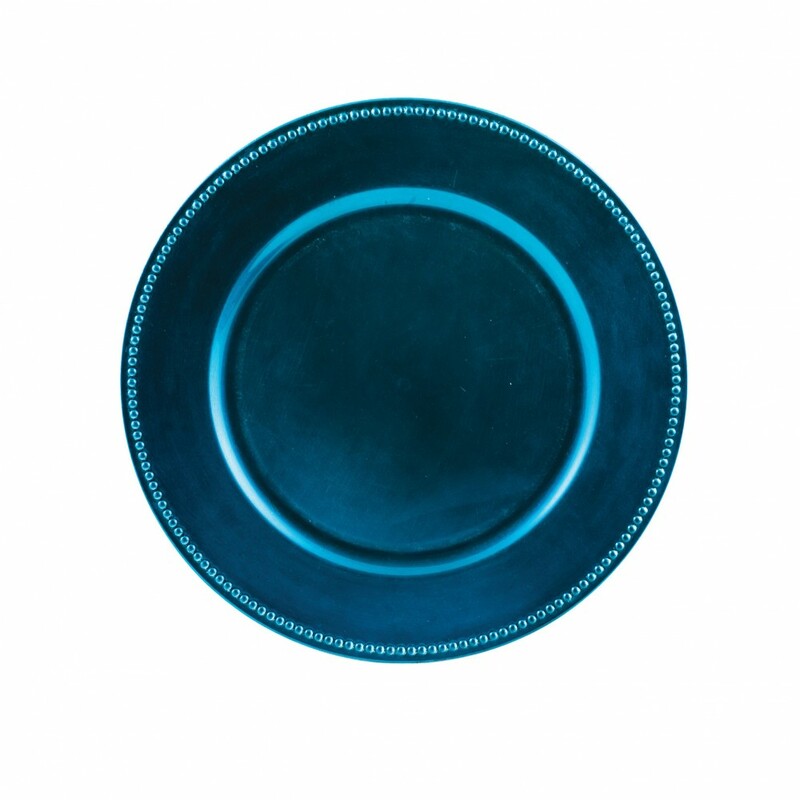 Home > Products > ChargeIt by Jay Royal Blue Beaded Round Charger Plate 13"
Add a pop of color to your fine dining establishment with the ChargeIt by Jay Royal Blue Beaded Melamine Round Charger Plate;. Combining an intricate beaded detailing along its rim with an eye-catching blue finish, this charger plate adds visual appeal to any upscale table setting. A premium quality piece perfect for themed wedding receptions, high-end events, and celebratory occasions, this lightweight melamine charger plate is exceptionally durable and long-lasting. The perfect size accommodates any size plate and provides maximum protection against spills and mess. Hand washing is highly recommended to properly clean and maintain this charger plate.